The aim of this article is to provide students with necessary information on how to cope with the task of writing a social science research paper paying attention to some special details which should be taken into account. Completing a piece of writing requires clear understanding of its interpretation and purposes. 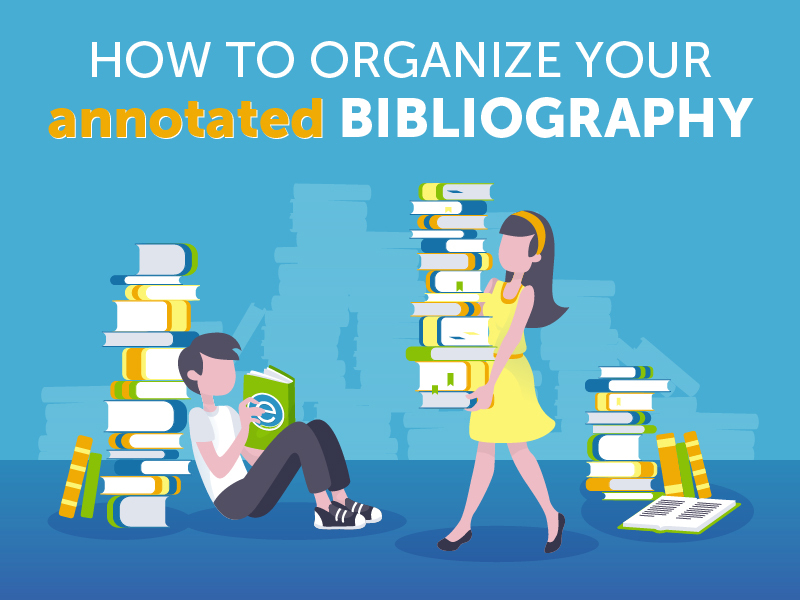 To begin, an annotated bibliography is composed of a number of documents, citations and articles connected to the paper you are working on. Most important, each mentioned item should be complemented with a short and catching summary. It is very common that authors decide to use the principle of chronological organization when arranging newspaper and journal articles, books, scholars’ publications, legal documents, audio recordings and pamphlets. Therefore, the date of publication matters a lot and should be accounted. What are annotated bibliographies and what should they contain? In the processes of completing a research paper, your instructor may demand a written annotation or bibliography. Such an assignment may have several reasons. It will show that you are knowledgeable in literature that provides the insight into the problem you are considering in your research. What is more, a reader may give you credit for digging deeper and covering all the valuable sources to find the truth and lead a very careful investigation. Additionally, an annotated bibliography may serve as a brief summary on the topic and be presented to your colleagues to enlarge their scope in the studied field. The point is to understand the difference of approaches applied in a literature review for a research paper and for an annotated bibliography section. In the last case, you should perceive it as a more well-weighted and considerate analysis. Speaking generally, completing an annotated bibliography makes you ready to conduct your own research. Evaluating the existing material on a certain theme, you may get to the roots and find the solution to a problem. Once you are familiar with the issues uncovered by other scientists, you may get a hint what exactly should be undertaken for your study. A critical view and examination of a great number of sources related to the research problem gives you understanding of the way this sphere works and what place the chosen problem takes in it. Judging from the points presented, completing this assignment is a very useful and crucial task for students who are going to write an informative and productive research paper. It develops critical thinking when using a particular written work, helps to decide on the role it has played in the field and what further steps should be taken to make a difference in the studied issue. It correlates your own study to the number of published theories of other scholars. It shows the evidence that you have already dealt with enough material to be versed in a problem. It justifies your research proving your skills as a scientist. It gives you a chance to take into consideration available multimedia and digital materials. It makes you an irreplaceable part of a continuous scientific debate on the undertaken topic. It makes it possible for a reader to determine straightforward whether this study is worth reading or not. It helps other researchers to decide whether the topic is interesting. All in all, this experience is truly useful for you because it teaches you to read critically, quickly categorize data and summarize the central points of the study. Being able to process the content fundamentally is the best skill a researcher could ever obtain. It makes your exploration process more efficacious and your chances to complete a thriving paper more realistic. 1. Explicative: This type of annotation concentrates on the description and illustration of the material presented in a scientific work. However, it doesn’t make a conclusion concerning the delivered message. The hypothesis remains to be something for a reader’s own summary. It pays attention to the content, to the problem confronted in it, valuable arguments, and specific details of the written piece, for example, bibliography or appendices. Due to the mentioned features, this type of annotation may look similar to an abstract. Be careful not to show your attitude with any criticism or evaluation. The purpose of an annotation is to make sure that the research paper is relevant to the topic of one’s own investigation. 2. Factual/Conclusive: The named annotation works for eliciting the conclusions of the written paper. Giving the basic knowledge regarding arguments and content, it synopsizes and outlines the source. To add to that, it elucidates the methodology that the author has used and the findings, which his or her work has brought to science. Importantly, you are not required to leave your personal evaluative commentaries on the written piece. This type of annotation aims at answering a question of the author’s argumentation and final summary of a research. 3. Estimative/Analytic/Interpretative: The mentioned type of annotation, unlikely to the two before, demands your personal evaluation. The content should be analyzed and interpreted by a student. This kind of annotation is broadly used by university professors as a writing assignment. Your instructor may advise you to focus on the advantages and disadvantages of the undertaken source. Do not omit the discussion of the weaknesses of the research if you have spotted some. This piece of writing has to clarify whether the sources are related to the issue, whether the argumentation is verifiable, and whether the selected methodology suits well the purposes of a research. Once you start the selecting process, there are two different methods to help you. They are totally different as they refer to the opposite directions in the chronology. One refers to the past in history of scientific development of an issue, and the other approaches the future of it. 1. The first method advises you to turn to a couple of recently published scientific books or articles connected with your research theme and have a look at the annotated bibliography. The choice of the author may be very handy for you and may lead you to the sources relevant to your topic. 2. The other method insists on seeking for more recognized and known books, journal articles and documents that correlate with the topic of your paper. In order to find them, you can use Google Scholar just pasting the title in a search line; however, remember to accompany it with quotation marks. Then, the website will look directly for this phrase, not for separate words instead. That is a very easy and effective way to quickly get a number of important studies on the wanted subject. As a matter of a fact, you should opt for the sources, which fit the research problem you are investigating. You can also mention the decisive factors, the goals you would like to reach and the purpose of your assignment. Focus – think of one side that you would like to be a central aspect of a confronted problem. Additionally, you may look at just one side of your research. Chronology – dedicate special attention to a concrete period of time. The shorter the phase you choose the more chances you have to present a detailed and full encompassing material. Geographical Setting – the author is also responsible for paying attention to the geography of the analyzed regions. Variation – concentrate on a peculiar type of things, social class or regions you are describing. Material type – while you have a chance to cover different types of material, try not to make it overwhelming. You can even select only one kind of sources, but remember to clarify your choice for a reader. Combination – it is fine to compound a couple of strategies from the list to shorten the content of your writing, sound more natural and make information easy to perceive. Working as one organism, all the items in the list of bibliography should correlate and make a contribution to the central topic. It may be helpful for the target audience to lighten an interest in the subject and get some necessary information on its background. To assess the relevance of the scientific work, you should define its major point. Moreover, flick through the author’s recommendations and conclusions. Similarly, be careful while analyzing the applied methodology and findings of a particular research. Given these points, completing such a written assignment as an annotated bibliography is not a tedious task. It is a very useful and helpful task for all the beginners in any scientific field. Reviewing related sources such as books, articles and even films, you get valuable experience of writing research papers. You have a chance to become familiar with the formatting and writing styles of different authors, and the ways of forming conclusions and present argumentation. Once you are given this task, you are lucky to get such a nice preparation step for your own scientific paper. Consult your professor on the type of annotation and the sources to be used. Evaluate if the paper is relevant and if it will bring anything new and constructive to you and the readers who are going to have a look at your writing.